Though I tend to do very little imbibing these days, I do enjoy it now and again for special occasions. 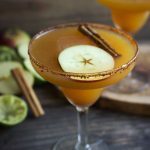 With the official start of the holidays upon us, I was on a mission to come up with a drink that could become the cocktail of the season. 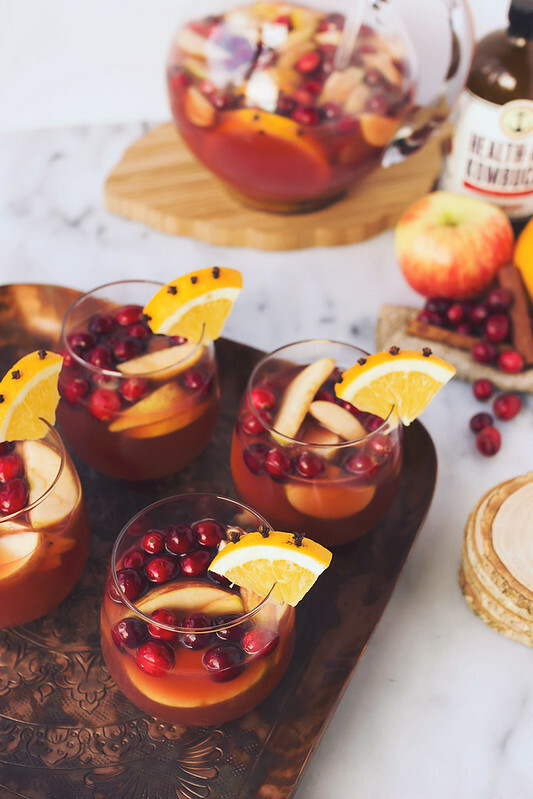 I have been working feverishly on the plans and the menu for our Thanksgiving feast this year and this seasonal appropriate libation will be perfect for our Friendsgiving get-together. 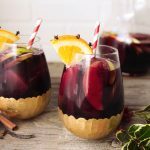 Sangria is the perfect cocktail for entertaining, so really it’d be great for any celebration. You can make a large batch a day ahead of time, let all of the flavors infuse with one another and as guests arrive, serve chilled with some fresh bubbles on top. 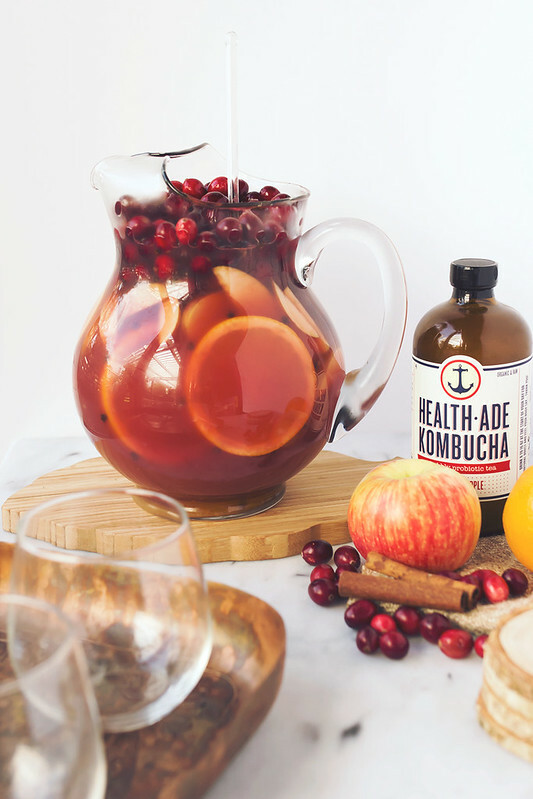 I personally love the flavor and the fizziness of kombucha and I love that it contains healthy bacteria, good for our guts. 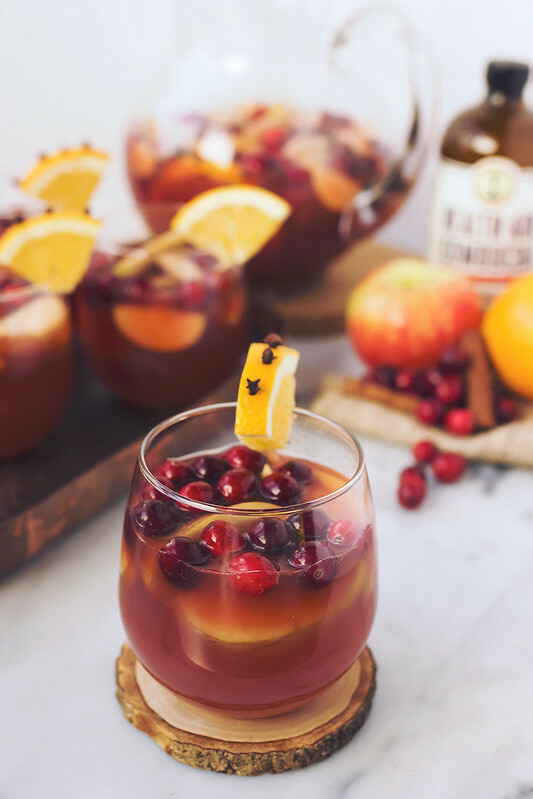 So yeah maybe it’s a little detox/retox situation when you combine kombucha with alcohol, but whatever, it’s too good together to be ignored. If kombucha isn’t your thing, sparkling water or soda would work great too. No matter where they’re from, I personally find the bubbles to be a nice addition. 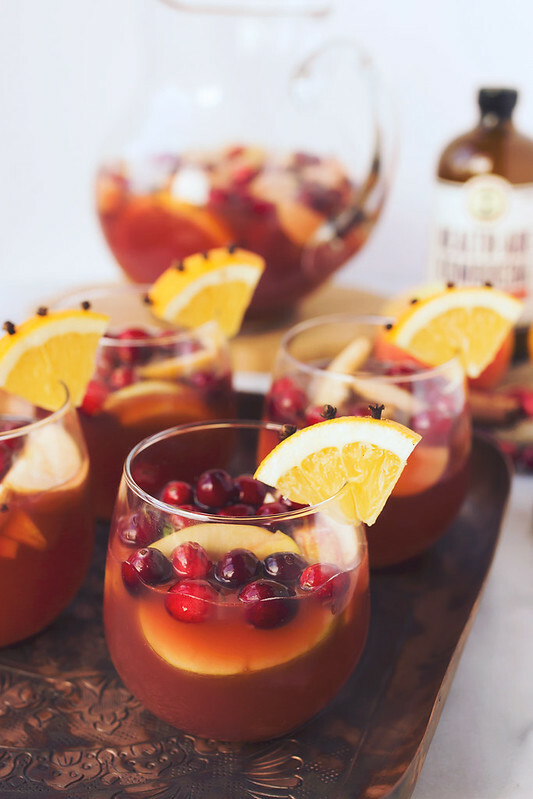 This sangria is sweet and tart and has so many wonderful warming flavors from the spices. Plus, each glass is a gorgeous work of art with the various floating fruit and the pretty clove-studded orange wedges. 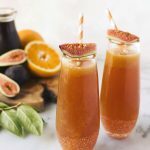 This cocktail has the comforting flavors of mulled wine in a chilled, refreshing and bubbly treat! Stud the orange slices with cloves by sticking the oranges with a tooth-pick to create a hole, then stuffing a clove into it. 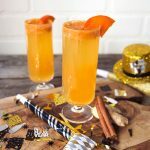 Keep a few clove-studded orange slices aside for garnish. 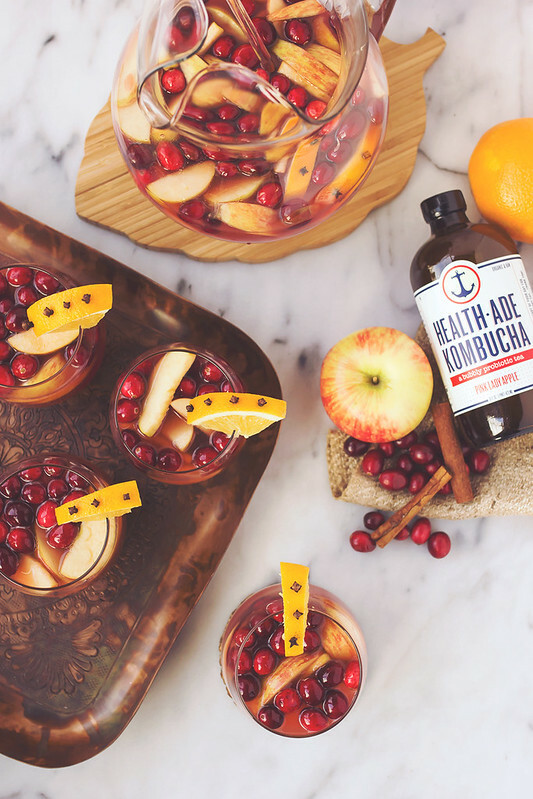 Add all of the ingredients except the kombucha to a large pitcher or sangria bowl. Give it all a good stir until the honey is dissolved. Allow it to sit a several hours or overnight in the refrigerator, to let the flavors come together. I work for a small kombucha company in Australia called “Remedy Kombucha”. We are having some little pamphlets printed with some recipe ideas using our kombucha. 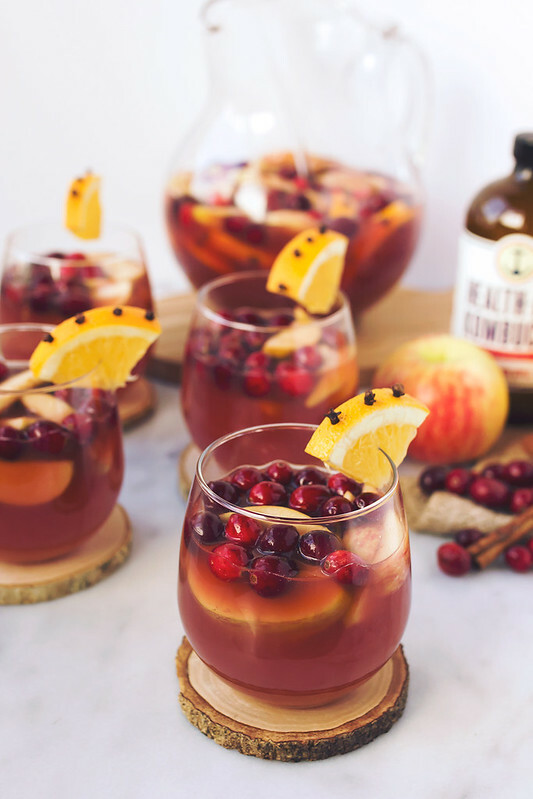 We absolutely love your Spiced Apple Cranberry Kombucha Sangria recipe. Would you mind if we included it on our mini pamphlet? We would of course credit you. Please let me know if you mind. Hi Georgia, please email me at tastyyummies (at) me.com to discuss. Thank you.